The Giza pyramids. The center pyramid (tallest) is the pyramid for King Khufu. You probably don’t usually think of particle physics and the Great Pyramid of Giza as having much in common. In some ways, the two seem diametrically opposed: the Giza Pyramid is the pinnacle of past achievement while particle physics relies on cutting-edge technology. The Great Pyramid of Giza is the only one of the seven wonders of the ancient world that is still standing. It is the tomb built over 4,500 years ago as a monument to Pharaoh Khufu. Little is known about how such a massive structure was built so long ago or what the internal structure looks like. Historians and archaeologists have been trying to uncover these mysteries for centuries. 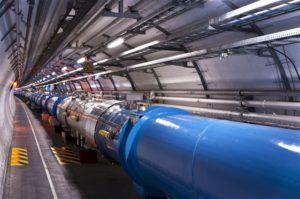 On the other hand, particle physics is often portrayed in movies and TV as a futuristic discipline in which scientists develop futuristic weapons. 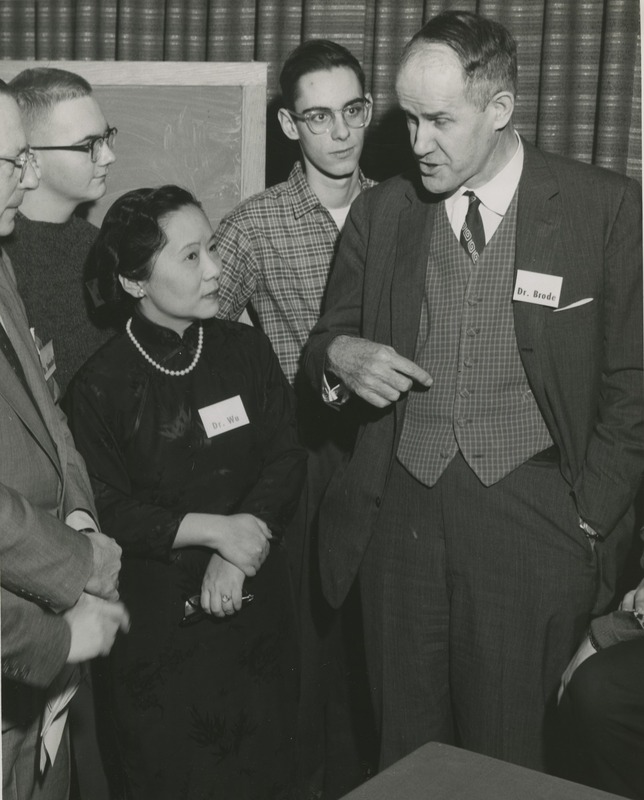 As a result, when an article was published in Nature on November 2 with the title “Discovery of a big void in Khufu’s Pyramid by observation of cosmic-ray muons,” there was a media frenzy. Though we sometimes think of science as a means to developing a more technological future, it is also importantly a means to understanding the secrets of the past. Much of the information we have about the origins of the universe and the evolution of galaxies has come from studying the fundamental building blocks of matter. 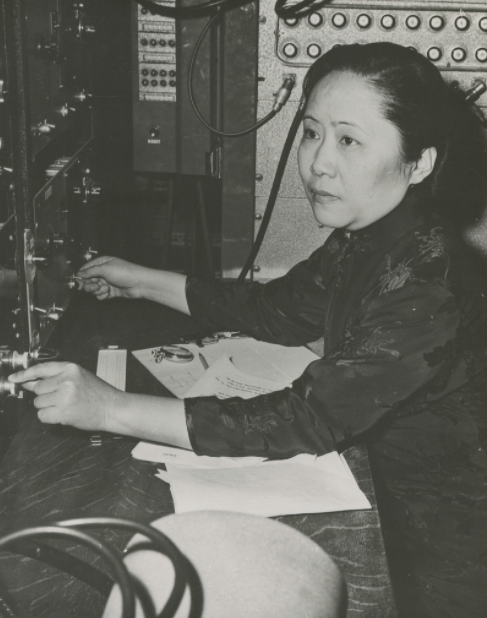 For example, some particle physicists study the atomic nuclei falling toward Earth’s surface in cosmic rays. Studying this material provides insight into how galaxies are formed and how they evolved chemically. When the protons and other nuclei in cosmic rays collide with nuclei in Earth’s atmosphere, pions are created. Pions then quickly decay and form muons. Muons have a negative charge like an electron but 207 times greater mass. The Earth’s atmosphere slows down all of the particles in the cosmic ray showers that are constantly raining down on the Earth. Because of their relatively large mass, muons are actually able to reach the surface of the Earth, unlike lighter particles. 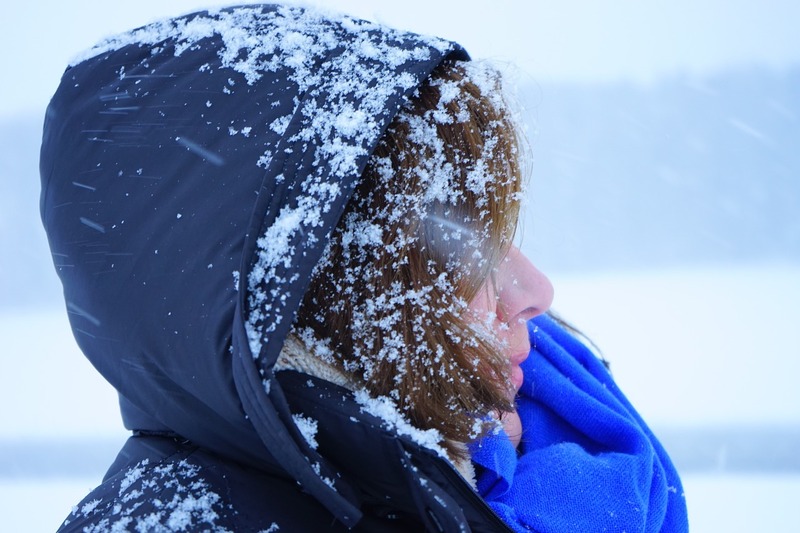 Detectors on or near the Earth’s surface can then detect these particles. 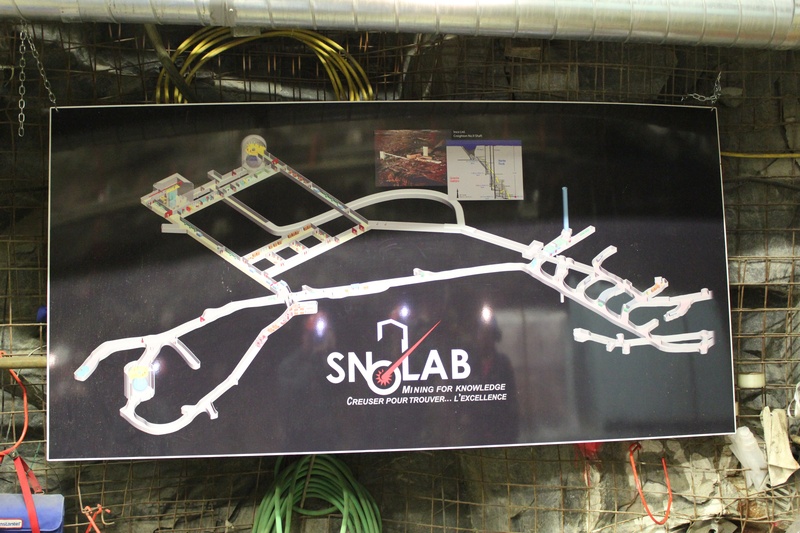 In order to eliminate background noise from measurements, some particle detectors are placed deep underground in mines and caves. 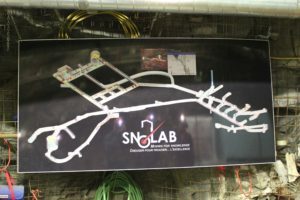 Learn more about what it is like to conduct scientific research in an underground laboratory in Underground Science at SNOLAB. 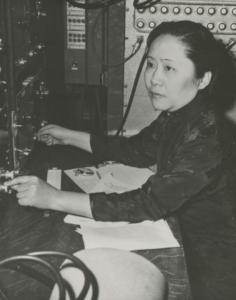 As early as 1955, physicists have taken advantage of the ability of muons to penetrate through rock by measuring the thickness of rock formations using muon flux (the amount of muons passing through an area of a detector). 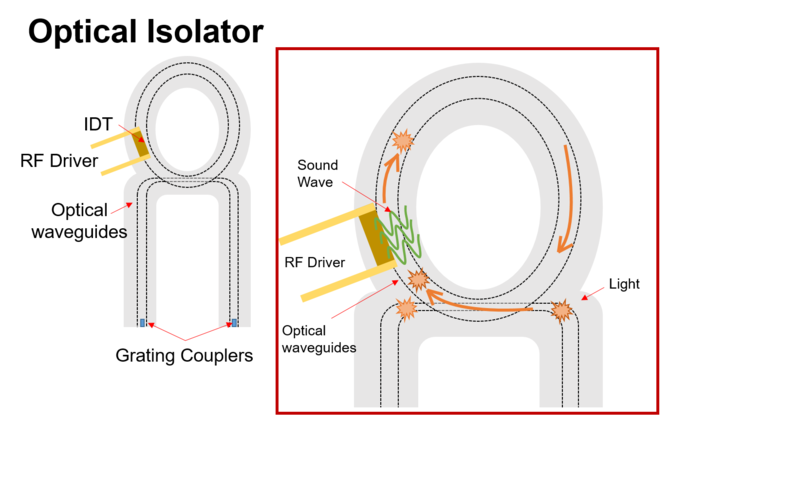 The concept of these measurements is similar to x-ray imaging. An x-ray is a high-energy form of electromagnetic radiation. Due to their high energy, x-rays are not readily absorbed by soft tissue such as skin and organs but are absorbed by denser structures like bone. If an x-ray source is aimed at a human arm and a film is placed on the other side of the arm, an image of the bones will be formed by the relatively low number of x-rays that reach the film behind the bones. Similarly, physicists working with cosmic rays realized that they could image large structures by taking advantage of the the fact that higher-density materials (such as stone) will absorb more muons than areas of lower density (such as air). Muon detection is a promising method for studying the pyramids because we can infer information about the internal structure without having to destroy it or to open up sealed sections. 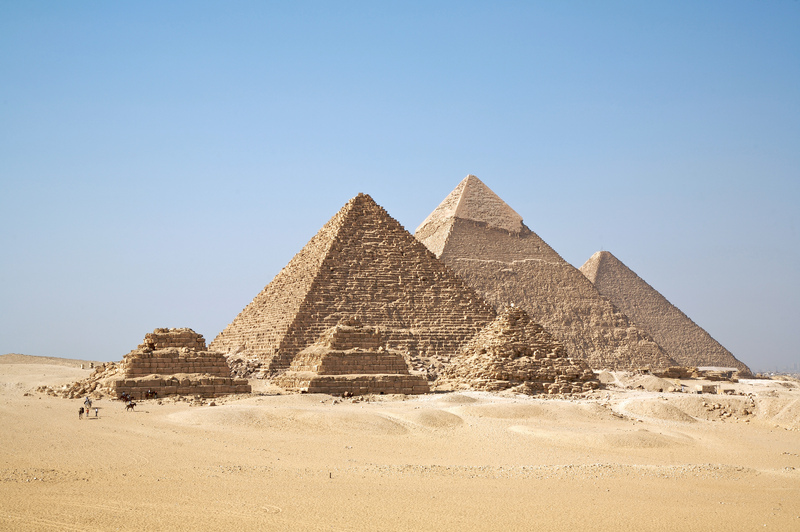 In 1970, researchers first attempted to use muon flux to search for cavities in the Giza pyramid. 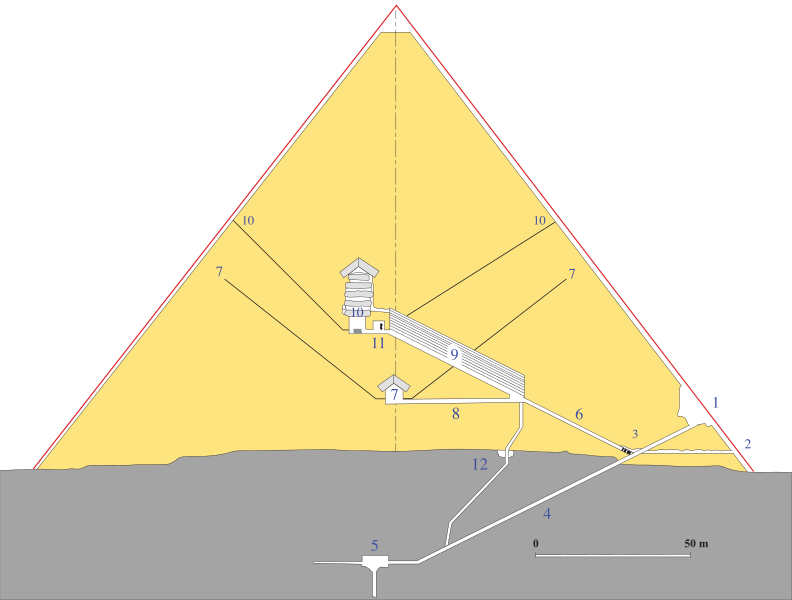 By placing detectors in the subterranean chamber (label 5 in the schematic diagram below), they were able to image a region of the pyramid occupying approximately 19% of the pyramid’s total volume. No new chambers were discovered in this region. 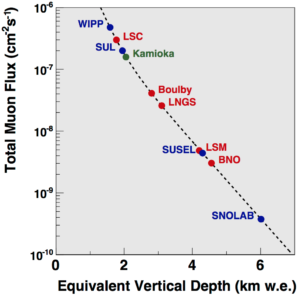 Since then, detector technology has become more sensitive to smaller amounts of muon flux. In 2015, a team comprised of researchers from universities in Japan, France, and Egypt tried once again to use muon detection to search for cavities within the great stone structure. They tried three methods of muon detection, and this time they were successful. First, they placed detectors inside the Queen’s chamber and in the corridor outside. 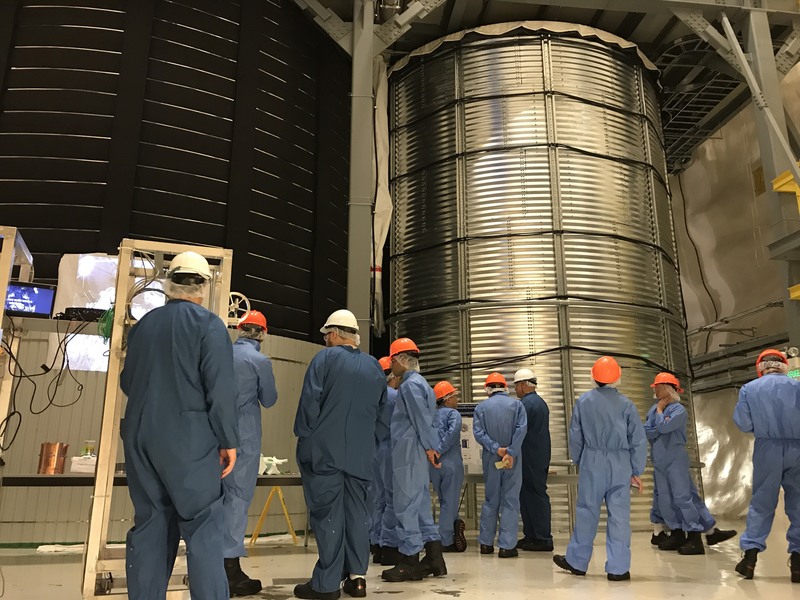 These measurements were taken over the course of several months so that a relatively high number of muons would be recorded, making the measurements more accurate. The measured muon signals were compared with the signals they would expect based on what was previously known about the structure of the pyramid. From this method, they detected an unexpected excess of muons coming from the region above the Great Gallery. From this excess, the researchers inferred that there was an unexpected region of air inside the pyramid. The excess of muons is about the same as the excess of muons that pass through the Great Gallery, meaning the the newly detected void is approximately the same size as the Great Gallery. 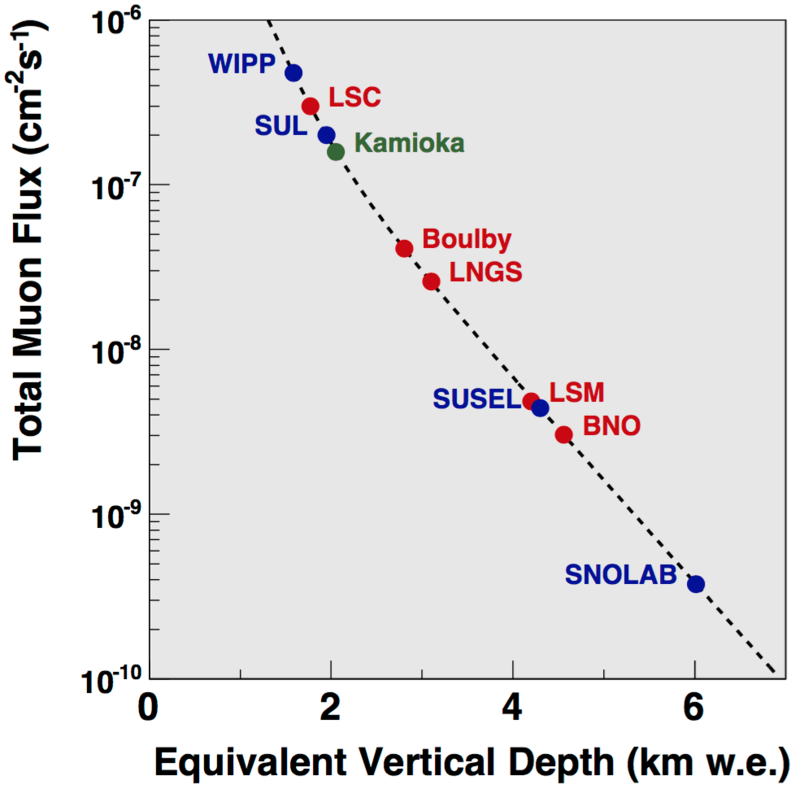 In order to verify their findings, the researchers used two additional muon-detection methods over the course of the next two years with detectors placed in different locations. Signals from all three methods pointed to the same conclusion: there exists a void in the stone structure above and parallel to the grand gallery. While this information doesn’t directly tell us why or how the pyramid was built the way that it was, it adds to our knowledge about the structure and may help archaeologists infer something about the design. Although, since the publication of the article, there has been some controversy over whether or not this is actually new information, this research still clearly demonstrates that cosmic rays may be useful for understanding not only events that happened billions of years ago but also events that happened much closer to home. 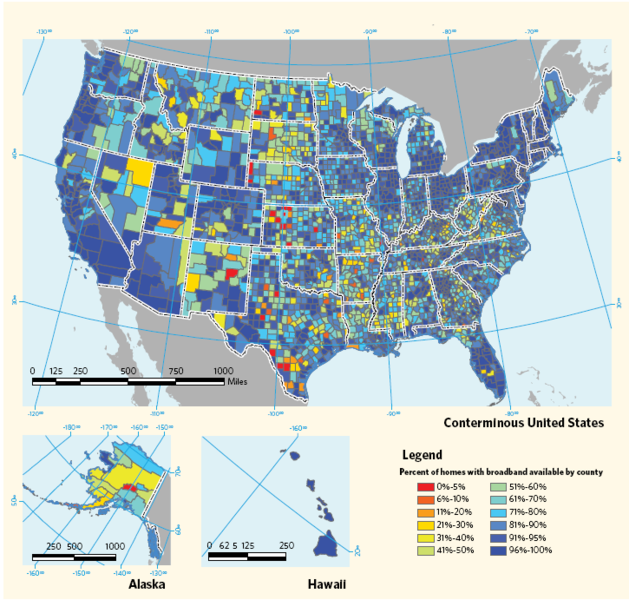 And importantly, this shows that science and the humanities have something to offer each other. As scientific advances continue to shape the political and cultural landscape of our future, we will also understand more and more about our past. Peer edited by Mimi Huang and Jon Meyers. Artificial Intelligence: Should We Trust It? If you’ve been following the news lately, you’ve probably read about the boom in Artificial Intelligence (AI). Some of the advances have elicited responses ranging from amazement to fear. So why has so much attention been diverted to AI recently? 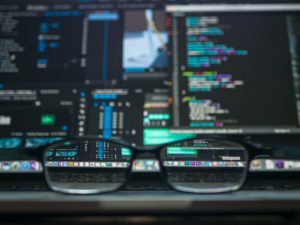 Advances in this technology over the past decade have surprised even experts in the field, and it has been spurred in part by cheaper and faster computing power as well as greater availability of large datasets. AI isn’t some futuristic technology that threatens to change our lives in the distant future, it has already changed our lives in many ways since its inception 60 years ago. Contrary to what many fear, however, it has not yet reached the point of surpassing human capabilities. The portrayal of problematic AI is pervasive in the film industry and can often be misleading. For a technology so widely discussed in popular culture, there’s no consensus on what it actually is. Stanford University’s 100-year study of AI defines it as “activity devoted to making machines intelligent, and intelligence is that quality that enables an entity to function appropriately and with foresight in its environment.” This definition may explain why my calculator isn’t intelligent, but what about my iPhone? It seems the key is that AI achieves specific goals through methods parallel to human intelligence. Most progress in AI today is within specific subfields like machine learning and deep neural networks, which has enabled the next generation of speech-recognition on the Amazon Alexa or the facial-recognition on the new iPhone X. Future uses of AI include autonomous self-driving cars, diagnostic healthcare and several other applications that we don’t yet have the foresight to predict. 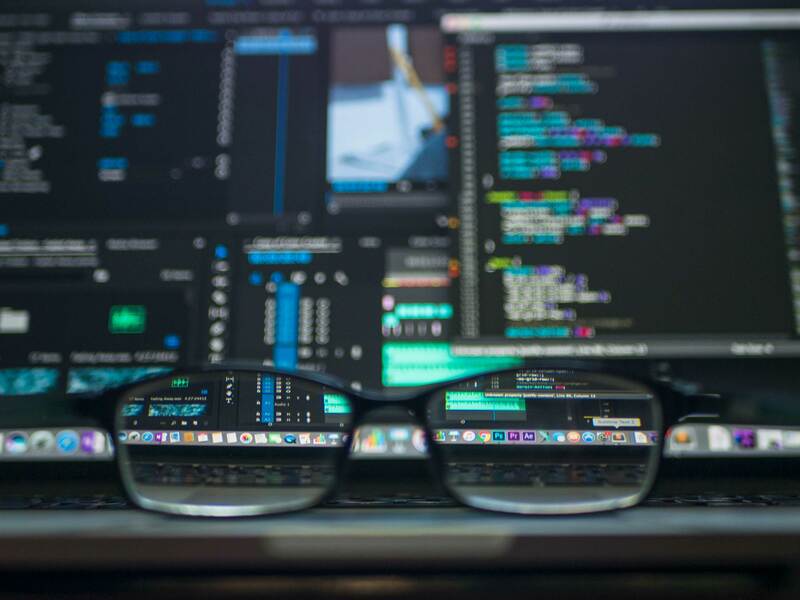 According to experts, AI doesn’t have the capabilities that match human intelligence but it does have the ability to process massive amounts of data and learn from it in ways humans can’t. 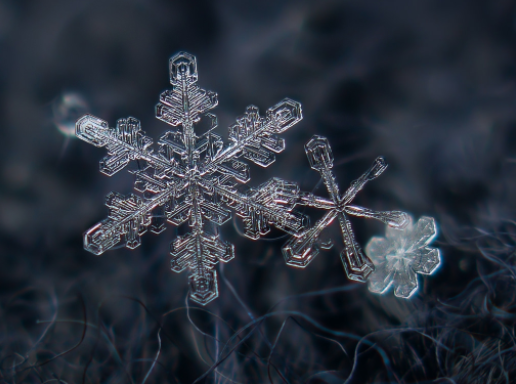 With increasingly available big data and cheap computing power, it won’t take long for us to train computers to make extremely accurate weather predictions, find new drug targets, or mine complex biological datasets in a fraction of the time that humans can. AI is being tested on games like Go, Jeopardy and Dota 2 as a low-risk way to improve its algorithm and to demonstrate the human-like abilities of this technology. Artificial Intelligence is exceeding our expectations but are we ready for the changes it brings? In 2015, Stephen Hawking, Elon Musk and several other scientists and intellectuals signed an open letter on artificial intelligence, specifically calling for more research on the potential impacts of AI on society. While they discuss several potential benefits of AI, scientists are also wary of the pitfalls and the possibility of losing control of autonomous AI. They believe that the rapid development of AI could threaten to shift society in ways similar to the industrial revolution or the creation of the atomic bomb; inventions that forever changed the social and economic landscape of the world. Another concern is the displacement of humans by robots in many fields. What kinds of jobs will become obsolete? 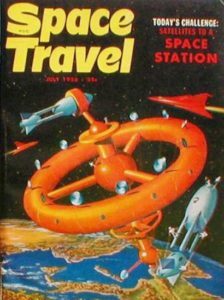 This process of new technology getting rid of certain jobs is nothing new, but it could happen at a higher frequency. Therefore, more research is required to understand how the integration of new AI would affect certain industries. There is no turning back from the future of AI. 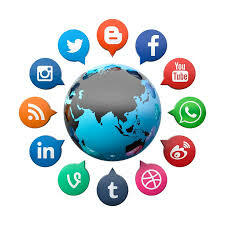 However, we as a society can engage on how we want to live amidst this increasingly powerful technology. During the past few decades, with the rise of social media, smartphones and cybersecurity issues, technological advancements have already forced us to think about the intersection of humanity and technology. Many scientists and intellectuals warn that AI is more advanced than anything we’ve ever dealt with. Therefore, healthy skepticism is warranted, but not so much that it hinders progress and inspires fear. The US is currently at the forefront of AI research, with China and Russia close behind. The technology is undergoing rapid progress so tighter regulation may slow research down. The existing technological hurdles gives society time to determine what roles we want AI to play in our lives. Some believe that this technology is merely an extension of human values and that our intentions will determine what our future with AI looks like. While this might be slightly naive, I believe that with the proper regulation set in place, we can make a better world more integrated with advanced technology. Future of Life: A volunteer-run organization aimed at mitigating the existential risks to humanity from advanced AI. Machine Intelligence Research Institute (MIRI): Aims to make intelligent systems behave in a manner that aligns with human intentions. Future of Humanity Institute (FHI): A multidisciplinary research institute that publishes on AI governance, safety and other issues like biotechnology to shed light on humanity’s long-term future. Stanford’s One Hundred Year Study on Artificial Intelligence (AI100): To anticipate the effects of AI through a century-long chain of standing committees, study panels and growing digital archive. National Science and Technology Council (NSTC): An executive branch advisory council released two documents highlighting comprehensive research and development plans for AI during the Obama administration (briefs for the Strategic plan and Preparation here). However, since this office has not been staffed under the new administration, it is unclear what steps will be taken by the government. Peer edited by Gowri Natarajan. I first heard of the band OK Go when they released their music video for ‘Here It Goes Again,’ which features the band members cruising back and forth over treadmills. I soon discovered that many of their other music videos are equally captivating and involve cool applications of physics. For example, their video for ‘This Too Shall Pass’ involves an elaborate Rube Goldberg machine, a complex device designed to perform a simple task. This is the same type of device the kids use in ‘The Goonies’ to open the gate for Chunk. A few weeks ago, they released the video for their song ‘Upside Down & Inside Out,’ which might be the most fun so far. This video involves the band members floating about in an airplane like astronauts. Go ahead and watch it, then continue below and I will explain some of the physics behind the video. First of all, the members of OK Go are not in space or in zero gravity. They are in a plane flying at altitudes similar to commercial aircraft. This plane, however, flies in parabolic trajectories, as shown in the figure, to simulate weightlessness within the plane. NASA has a similar plane called the Weightless Wonder to help astronauts train and perform science experiments. The figure to the left shows how this works. 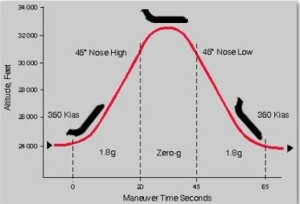 As the plane starts to fly higher, everything on board feels heavier than normal (0-20 seconds in the image). 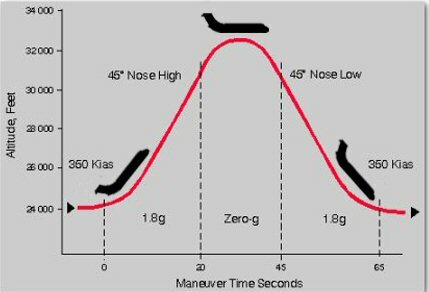 Once the plane reaches a certain altitude, the pilots slow down the engines and the plane begins to move only under the influence of gravity (20-45 seconds in the image). This is just like what happens when you throw a ball into the air. You apply a force to throw the ball, but once it leaves your hand, it moves only under the influence of gravity. It goes up a little ways before coming back down. In the OK Go video, the people and objects inside the plane are like the ball thrown into the air. But since the people are moving at the same rate as the plane, it simulates weightlessness. You do not feel this way when you skydive, for example, because you can feel the air pushing on you as you fall down. Inside the plane, however, you feel weightless because the air is falling at the same rate as you. Typically, these parabolic trajectories that create weightlessness can only last up to about 30 seconds. For a song that is 3:21 long, this means OK Go had to shoot the video in multiple segments and then edit it to make it look smooth. You can see that at certain times everything falls to the floor of the plane (most obvious at 2:03, 2:27, 2:46, and 3:08). At these moments the plane is coming out of the parabola so gravity is, in a way, turning back on. OK Go released a short video describing some of the challenges they faced filming in this type of environment and how they solved those problems. This whole video is full of great examples of introductory physics; I bet many teachers are already writing questions based on this video. Here are three of my favorite parts of this video from a physics point-of-view. One of the coolest visual aspects of the video is at 2:51 when the balloons full of paint appear. The band members start popping the balloons and paint goes everywhere. 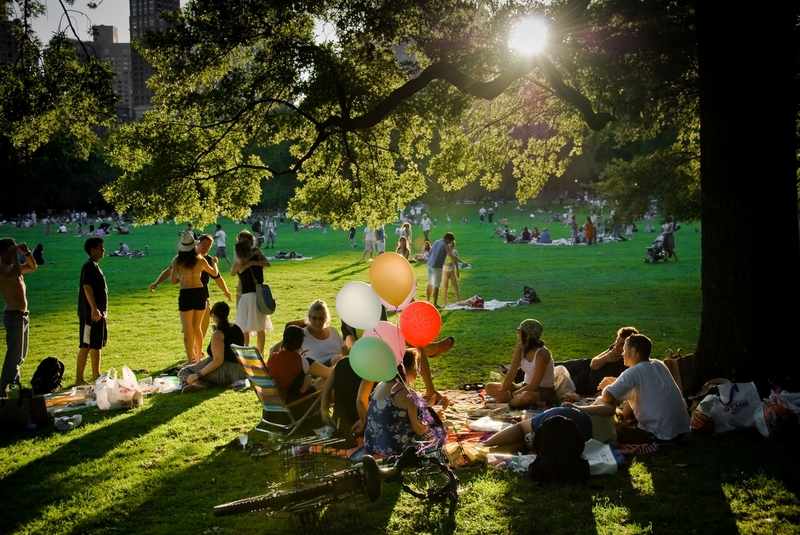 On Earth, if you pop a balloon full of anything, the contents are going to fall straight down to the ground. But in weightlessness, the direction the paint goes depends on a few things. The lead singer first pops a purple balloon with orange paint that he holds in his hand. He takes his finger, pushes almost straight down to pop the balloon and the orange paint moves upwards. It moves up because of the conservation of momentum. Since the balloon is stationary and his hands moves downwards, the paint goes up. In the same situation on Earth, the paint would try to go up as well. But the effect of gravity is strong enough to overcome this motion and would force the paint to fall to the ground. You have experienced something similar to this if you have ever tried to push someone while rollerblading or ice skating. If you are standing still and give someone a push, you will start moving the opposite way. At 1:38 the flight attendant in front starts spinning with her legs out before bringing them in and spinning more quickly. She is conversing her angular momentum, which is exactly the same thing ice skaters do when they spin. If you are spinning and have your arms out you will spin faster when you bring them in, and vice versa. You can do this in most office chairs too, but it is helpful to have a friend spin you. Disco balls are released around 2:37. You can see a couple of them bouncing off each other and all of them hit the walls of the airplane. Just like in the game of pool, the direction they each travel depends on the speed and direction of the collision. Calculating the trajectories of pool balls is a common physics question. Calculating the trajectories of the disco balls would be a fun extension of that. Like most OK Go videos, this one took a lot of work to put together. They have released a few videos detailing how it all came together. This band keeps finding ways to include great physics demonstrations in their videos. Scientists thrive on “aha” moments— breakthroughs in knowledge that come from careful planning or perhaps fortuitous luck. For a team of researchers led by Josh Lawrimore, a fourth-year graduate student in Kerry Bloom’s lab at UNC, their “aha” moment came about by approaching their research question in a new way. Josh’s research is focused on what happens to a chromosome—a long molecule of DNA wrapped around proteins—when a parent cell divides into two daughter cells. To study chromosomes, the Bloom lab uses baker’s yeast as an experimental model. The centromere region in yeast cells has been well-studied, and their chromosomes are similar in structure to human chromosomes. Amazingly, through working with this simple organism, Josh has solved a long-standing mystery in the field of cell biology.